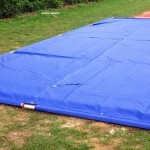 We can supply a long jump sand pit cover to help keep your athletics facility clean and safe. These come in a number of different designs and are used to protect the landing area from debris like litter and leaves when it is not in use. They also prevent sand from being blown away from the area by strong winds. 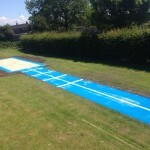 If your school or clubs is in need of this kind of equipment we are able to supply it to suit your existing landing pit. Please use our contact form to get in touch with us if you would like to find out more about these products. The costs will depend on the size and type of cover you need, and your location, but please let us know if you have any budget requirements. We would be happy to provide you with some further information if needed so don’t hesitate to ask. 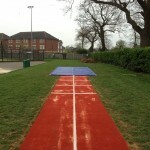 The long jump sand pit cover is designed specifically to be used to protect the landing area after the use of the long jump facility. 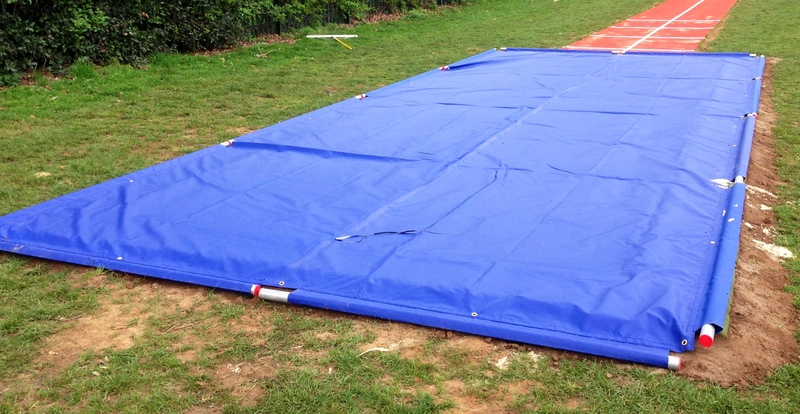 The athletics landing pit protectors can come in a variety of sizes that can cover the range of all the different sand pits that you can have constructed. The protector is designed to make sure that the sand is kept clean and it’ll stop any potential dangerous contaminations from arising. If the facility is a school, it is especially necessary to invest in a sand pits cover as there could be some serious accidents from things being in the area. 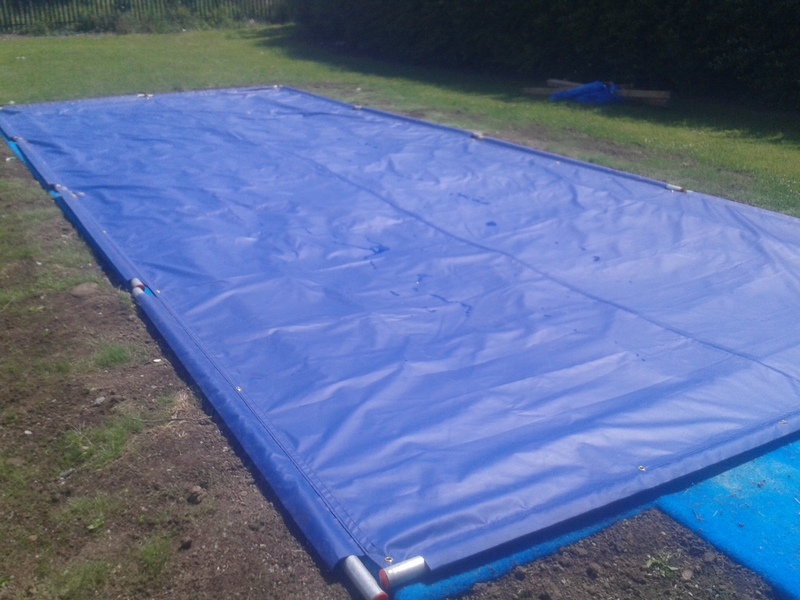 Your typical sand pit cover is made from a vinyl sheet that is held down with bars that then cover the surface to ensure that it remains in place over night and will not blow away. 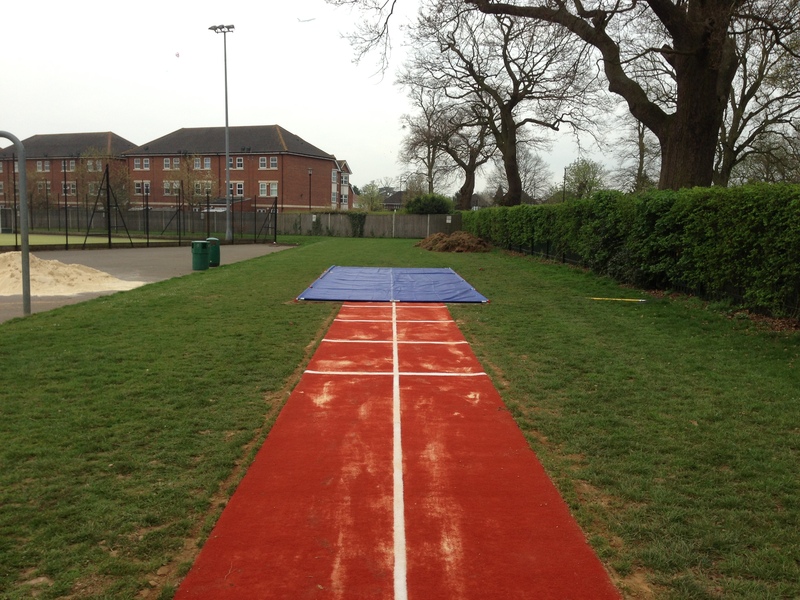 Many schools and athletics clubs have long jump runway facilities built to give students and members of the public a chance to practise their skills at a different sport and get involved in recreational clubs. These facilities will typically choose the vinyl sheet product as it is the most cost effective and easy to store. 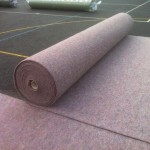 You simply unroll the material and place it over the necessary area, then it can be rolled back up and stored when the facility is being used. You can alternatively opt to have a wheel away sand pit cover, this is made from steel that can completely cover your surface ensuring that it is totally protected and won’t get contaminated from dirt and debris. This sort of product is more suited for professional athletic clubs that need to make sure they maintain a proper standard of performance, and is a worthy investment of their money. Whereas the standard vinyl sheet is much more suited for schools, colleges and universities who may need to stay within a tighter budget. Feel free to speak to one of our experts today by filling in the contact form on this page with your details and any questions you have. 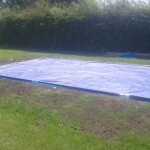 We’d be happy to send you some further product sheets of the landing area covers along with some advice on the costs. We also offer a range of other long jump equipment including maintenance tools to help you look after the surfacing. 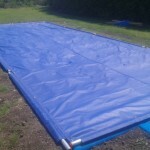 Costs for long jump sand pit covers can vary, mainly depending on the size and dimensions and the actual design specification for the cover in question. As the wheel away product is a much more extensive system, it costs a lot more due to the materials used to create it. So if you are a school or a college, it’ll be much more preferable having the standard sand box protector since it’ll still do the job and ensure the safety of the students and children using the facility as well as saving you money. This means having a long jumping facility built is much more accessible for these institutions as it can help keep within tight budgets. 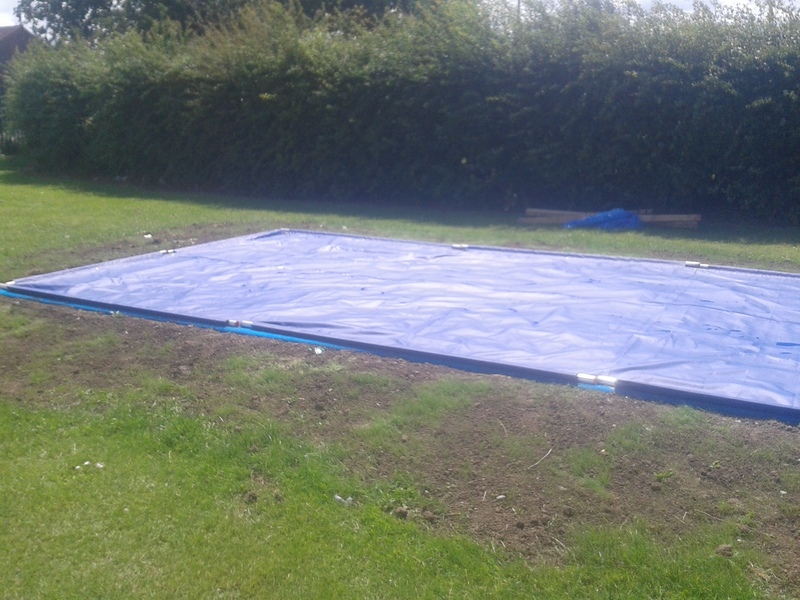 The purpose of a landing pit is to provide a safe area for athletes to complete their jump. This is why it’s important to keep it clean and safe with a cover which prevents any debris from being blown into the sand. The landing pit cover should be seen as an investment as it helps keep contaminants out of the landing box which could lead to new sand having to put in on a regular basis, which will ultimately cost more money. Regular cleaning and maintenance of the athletic runway and sand pit will also help to keep costs down for the overall athletics facility. Maintenance methods for a long jump runway and landing pit can include regular brushing to remove dirt and clearing any debris or contaminations from the sand box to ensure the performance and safety characteristics are kept to the highest standards. Please feel free to contact us if you are interested in purchasing one of these products. We would be happy to discuss them in more detail and give you an idea of the costs for supplying one. 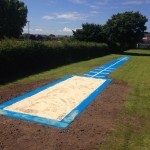 There are different types of long jump sand pit cover which we offer but we can help you choose the right one for your facility which will be cost effective for you. 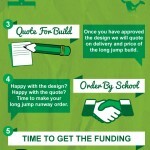 How Much To Build an Athletics Long Jump Pit?